A couple of weeks ago I had the amazing opportunity to partner up with Rimmel London and meet you beautiful people at the Fierce Fashion Festival in Amsterdam. 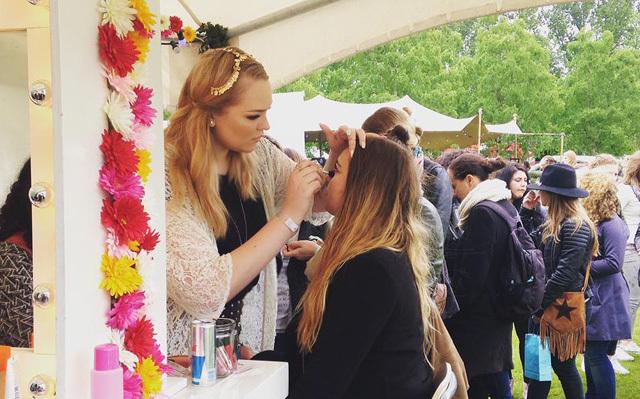 Rimmel had a booth at the festival where all fashionistas could get a touch-up by yours truly, have a nice chat and take some fierce selfies! Rimmel London recently launched a new collaboration collection with Rita Ora, after the overwhelming success of their previous collaboration collection: “Colour Rush”. The new collection is titled “Colour Fest” and features some of the most beautiful nail polishes and lip glosses. I had the opportunity to use the products from the brand-new collection at the festival, and boy, did I fall in love with these beauties. The nail polishes have an unique 3-in-1 formula: It contains a base coat and a top coat, its precise brush makes painting extra easy, and the polish dries in less than 60 seconds. I used the polishes to paint a lot(!) of nails at the festival, and it indeed dries within 60 seconds. And the best thing? You only need one layer! My favorites are: “Peachella”, “Neon Fest”, and “Rain Rain Go Away”. 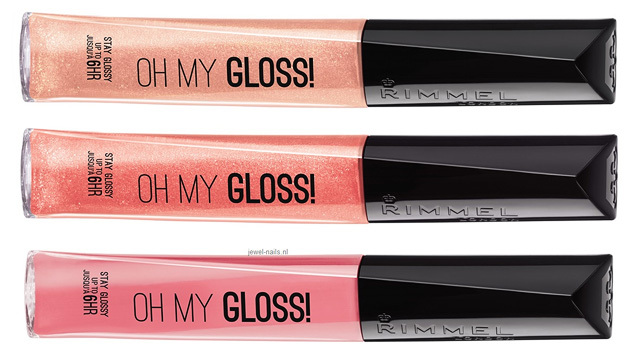 The new Oh My Gloss! lip glosses were a huge hit at the festival. Almost every girl I gave a touch-up left my meet and greet makeup chair wearing one of the colors. The gloss has a six hour wear, contains argain oil and vitamin E, and doesn’t feel sticky! My favorites are: “Glossaholic”, “Snog”, and “Ooh La La”. 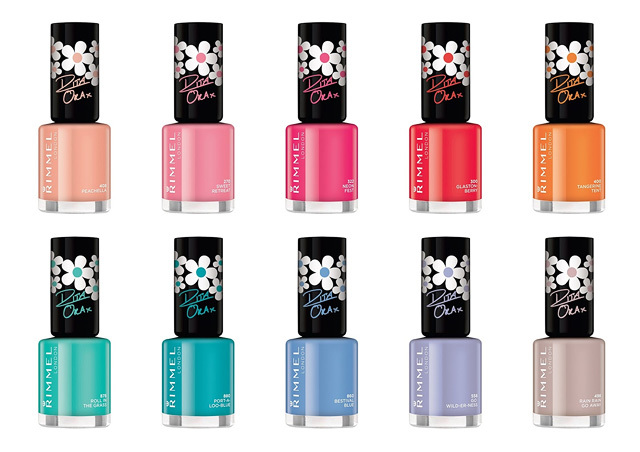 The Rimmel London Colourfest Collection by Rita Ora is now available! Didn’t have a chance to come to the Fierce Fashion Festival? No worries! 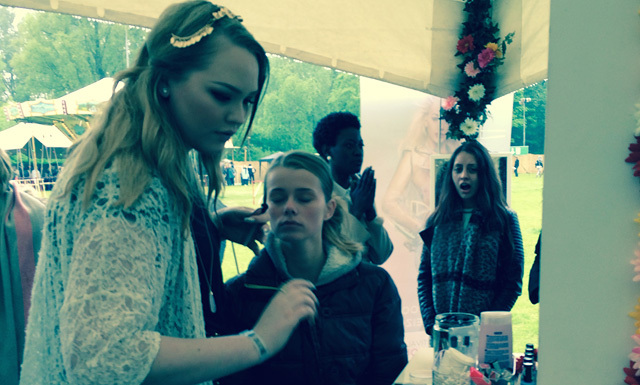 On June 6th, myself and Serena Verbon from Beautylab.nl will be at Amsterdam Open Air. You can meet us both at the Rimmel London booth and take fierce selfies with us! Will I see you there? How dying my hair for a Tutorial, Became a tragedy. MY LIP INJECTIONS | Q&A! This entry was posted in News, Personal. Bookmark the permalink. Wat leuk om te zien Nikkie! Ik heb zelf ook de Neon Fest nagellak en ook nog het blauw/groene kleurtje Port-a-loo-blue! :-) Heerlijke lakjes zijn het! Hey, je tutorials zijn super! Ik wil al jaren eens de kennis opdoen om mezelf zo mooi te maquilleren. Geef je eens geen workshops ofzo? You are living my dream …wish i can do this soon…i envy you since rimmel products are not really available in manila, philippines ….we just have limited online sellers …love the reviews and your site …keep being awesome! Hi Nikkie – Greetings from Namibia, Africa! Awesome to see your surname… which is quite common here! Found your tutorials extremely inspirational! Thank you. I’m also inlove with make-up, but I’m not as good as you…trying though.